Yatin Srivastava Project is the solo project of New Delhi/London based musician Yatin Srivastava. Initially conceptualized in 2011, the project has evolved into a Progressive Rock/Metal band over the past few years. 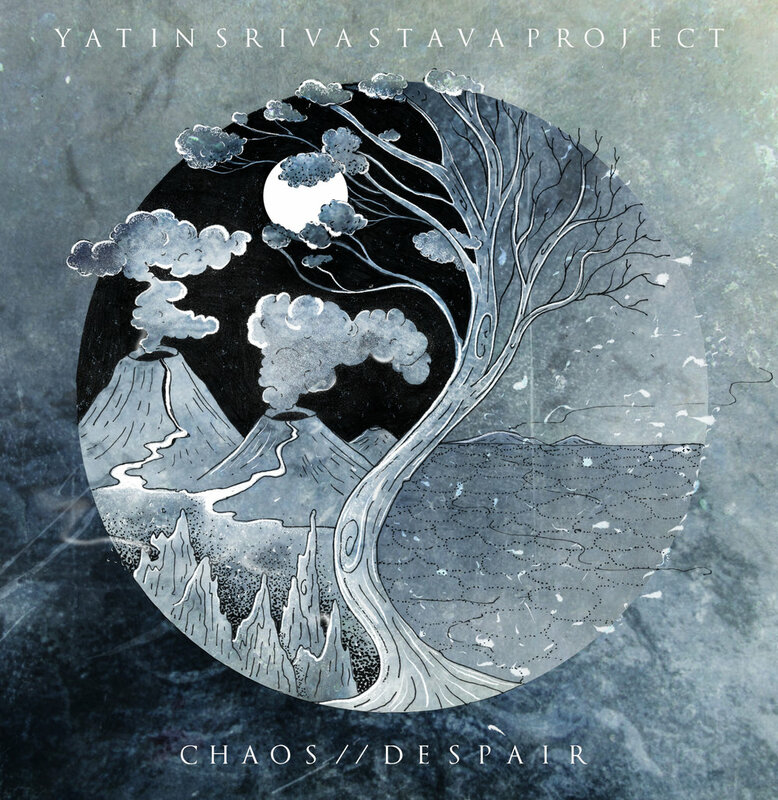 After releasing two EP's, a Live DVD and two brand new singles, the Yatin Srivastava Project has recently released its first full length album titled 'Chaos // Despair' on the 25th of May 2018. A record that has been in the making for close to two years, it showcases the first instance of a personalised sound the band can call its own. Clocking in around 45 minutes, the record is divided into two broad themes, showcasing each theme through a series of 3 songs. The content of the record mostly deals with Yatin's experiences through the last three years and beyond. More so in detail, the songs deal with themes of political disarray, religious fear-mongering, war, loss, the lack of inter-personal connection, battles related to mental health and personal strifes through the two themes of 'Chaos' and 'Despair'. The album features an array of guest artists including Craig Blundell (Steven Wilson) and Bruce Soord (The Pineapple Thief) amongst various Indian artists prevalent in the Indian Music Industry including Dhruv Visvanath, Kunal Singh (The Stage 2 Competitor), Sanjeeta Bhattacharya (Berklee Alumni) and Arjun Mathur (Meinl Drums Endorsee). This continues the project's concept of collaboration and taking the songs from an individual stand point to that of a musical collective. Whilst most of the record has been produced and engineered by Yatin himself in various living rooms and make-shift studios, the band decided to record the drums at Plug n' Play Studios with none other than musician-extraordinaire Anindo Bose (founding member of Indian Fusion Band 'Advaita') to ensure a high quality product. This is the first time the band has entered the studio along with another producer/engineer guiding the process. Eventually mixed by Yatin, the album has been mastered by Ermin Hamidovic (Periphery, Devin Townsend Project, Architects, SikTh) who is known for his work in the Progressive Metal genre in the Pro Audio Community worldwide. The sonically diverse record's goal is to eventually make the listener think, and possibly continue the conversation about things that are usually not talked about in society today.